MoreAt the Law Offices of Raymond Lo, LLC, you will find that you are treated as an individual, not a case file. You will meet directly with Mr. Lo and his staff that will handle your case. We will take the time to carefully listen to your concerns and address them accordingly. Whether this is your first time or tenth time dealing with immigration proceedings, we take the time to carefully analyze and explain what is happening in your case and your available options. 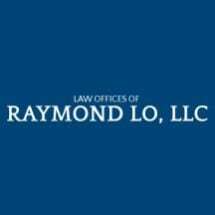 Our firm is available to handle...At the Law Offices of Raymond Lo, LLC, you will find that you are treated as an individual, not a case file. You will meet directly with Mr. Lo and his staff that will handle your case. We will take the time to carefully listen to your concerns and address them accordingly. Whether this is your first time or tenth time dealing with immigration proceedings, we take the time to carefully analyze and explain what is happening in your case and your available options. Our firm is available to handle any immigration matter throughout the United States, including traveling to you. After we meet with you, we will present your options and help you to choose the option best for you.